Boycott Del Monte Fresh Produce Co! 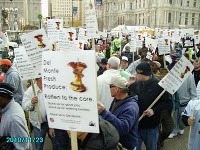 Read ILA Calls for Boycott of Del Monte Fresh. Get a resolution of support from your labor union; community, civil rights, academic or faith based organization. Click here for a sample resolution.